As a home daycare provider, I like to gather my little ones and create a fun and special Mother’s Day gift for each of their moms. 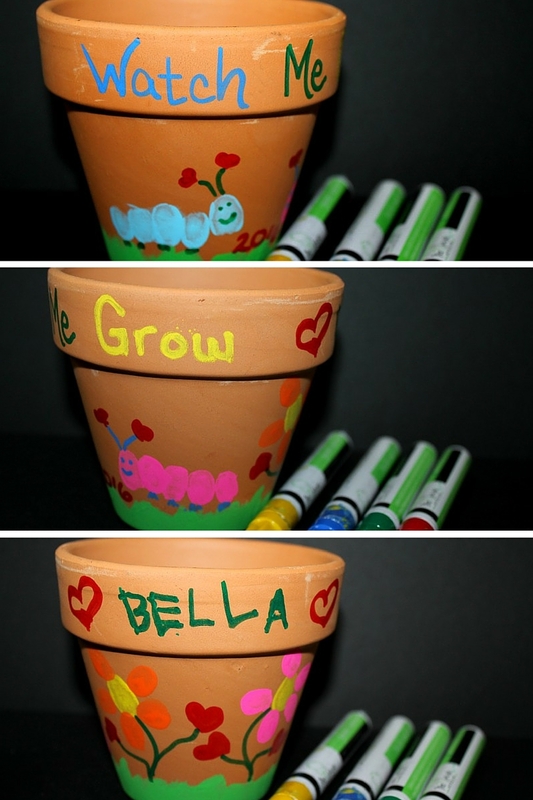 Last year we created a Mother’s Day Flower Pot that was super special because it had their personal artwork along with a sweet picture of them. 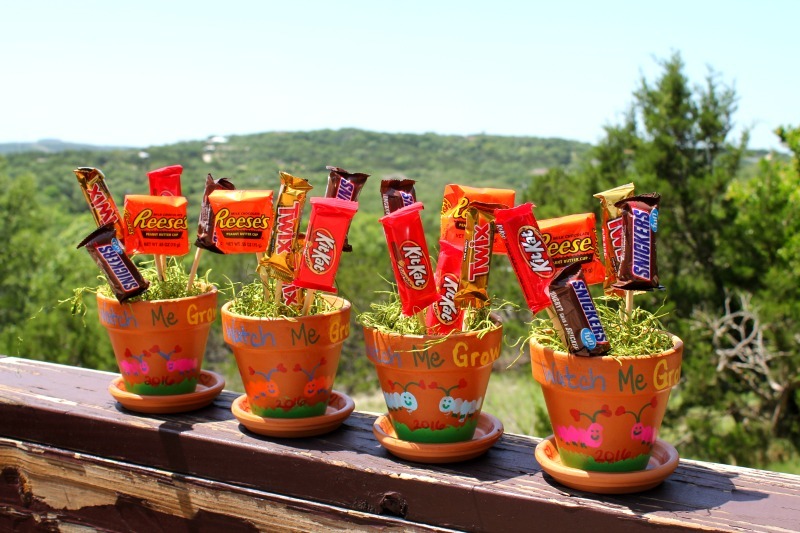 This year I decided to have them create a Mother’s Day Candy Bar Bouquet. I knew that this Mother’s Day gift was going to turn out fabulous not only because it was made with their child’s little fingerprints but mostly because it was going to be filled with chocolate! 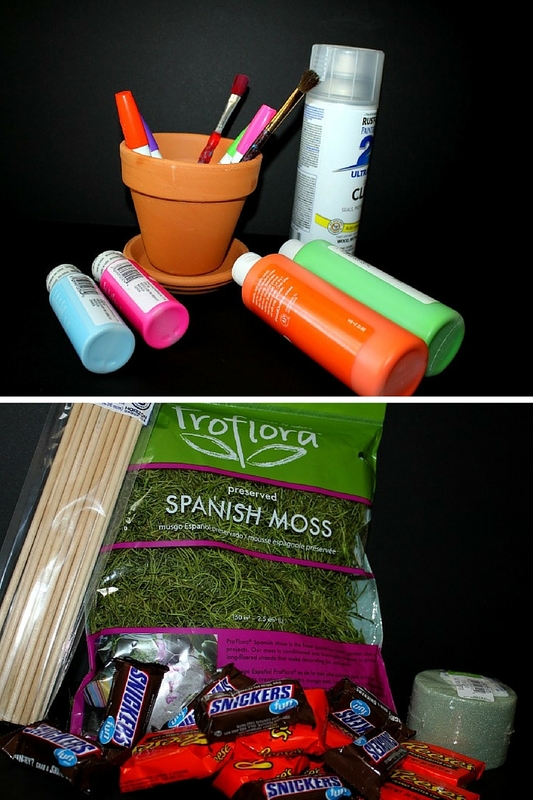 For this project, you will need a few simple supplies that include a flower pot, variety of acrylic paint colors, clear gloss, paintbrushes, variety of fun size candy bars, Spanish Moss or green crinkle paper, dowel rods, paint pens, tape, and styrofoam. The first step is to grab your little one and prepare their fingerprints for some creative fun. You can use any colors that you like. I always choose bright colors, especially since it is spring. Before we created the kid’s fingerprint flowers and fingerprint caterpillars I painted the base of the flower pot green for the grass. 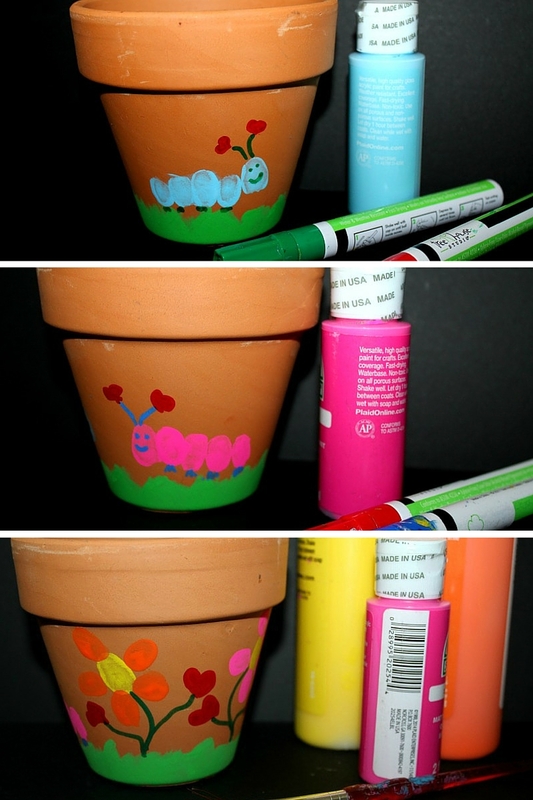 Once the paint dried, I used different colors of paint pens to add the embellishments to the flowers and the caterpillars, in addition to the wording. After the flower pots were completely dry, I sprayed them with Clear Gloss and dried them outside. Once the clear gloss had dried, it was time to put together the Candy Bar Bouquet. These steps are very simple. You will first place the styrofoam inside the flower pot. Since my dowel rods were very long, I cut them in half so that the length would be perfect. 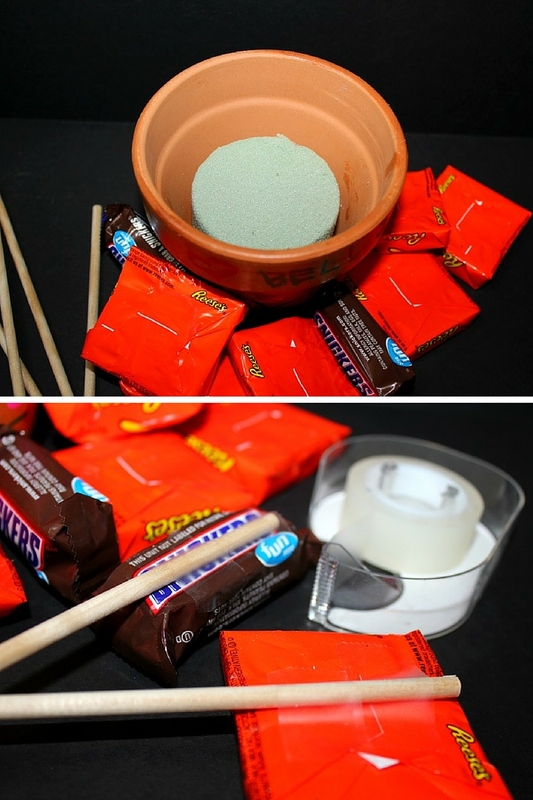 Next, I taped one end of the dowel rod to the back of a candy bar and then stuck the other end of the rod into the styrofoam. The last step is to cover the styrofoam with green moss or green crinkle paper. 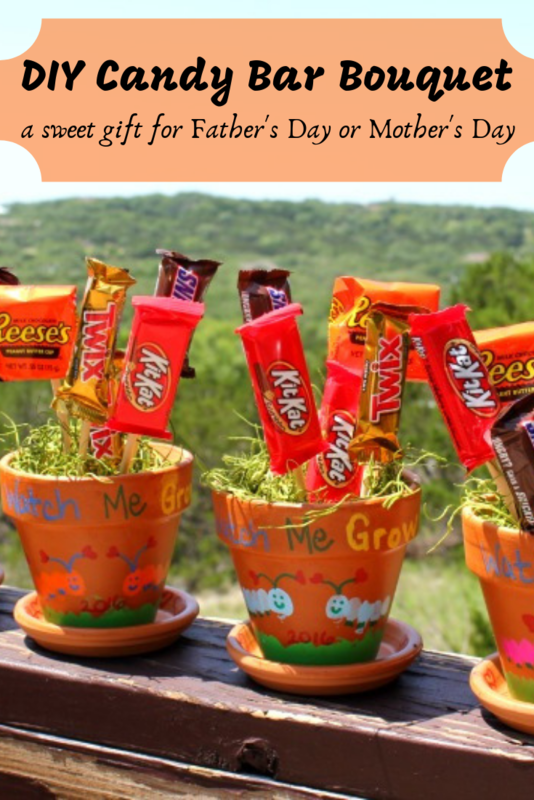 I fell in love with these Mother’s Day Candy Bar Bouquets even more after they were completed. I know that the moms are going to fall in love with them as soon as they lay eyes on them. In addition, here are some sweet printables for Mother’s Day that little ones will enjoy and moms will love to receive. Very cute and clever idea! 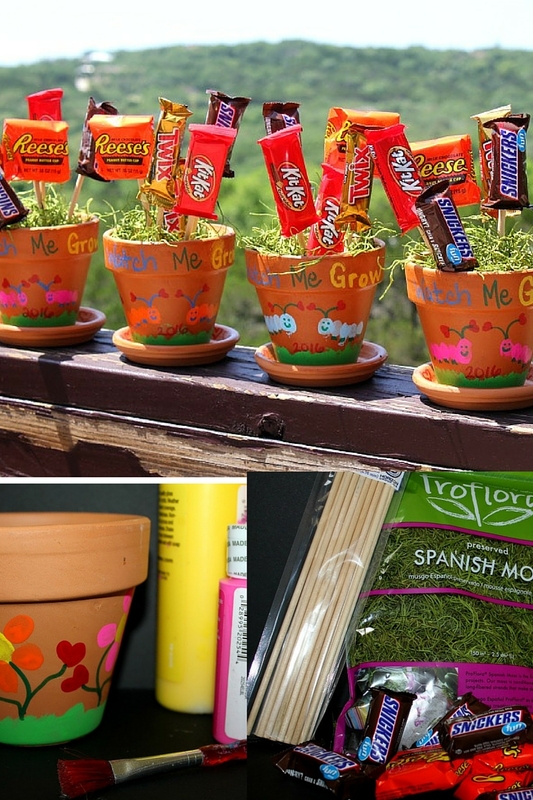 I love packaging gifts in things that are purposeful, like these flower pots. Super cute and clever. Dad can help his kiddos make this for mama!! These are so cute! There’s nothing better than a homemade gift! I love this! Flowers and candy, done by kids. 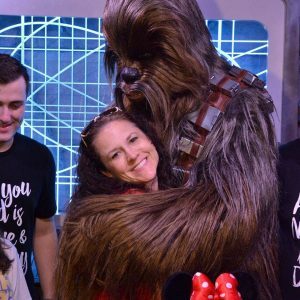 How more awesome can this get? 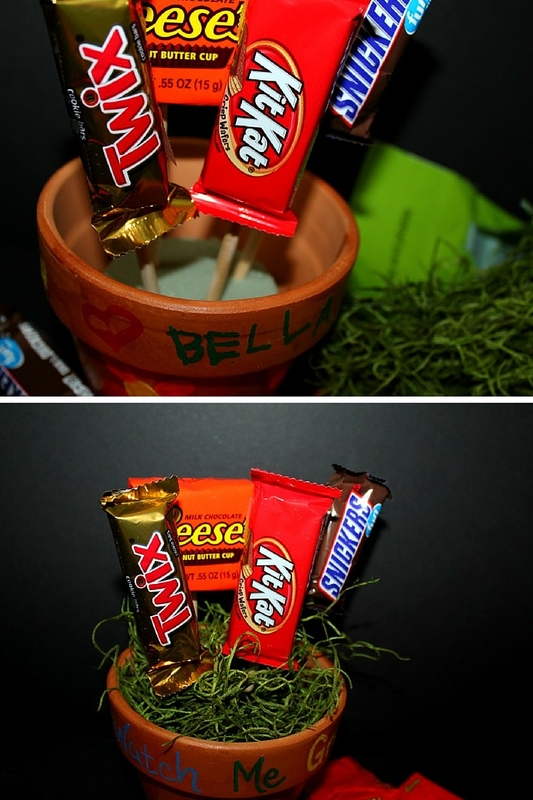 I think your Mother’s Day Candy Bar Bouquet is a great idea and so cute. Thanks for a fun idea. My Mom loves candy bars!